I'm going to start something where I will choose a plant from each month we're in (And change it every month). Look here for the plant-a-month of whatever month we're in each month. If it's near the end of a month and you're a member and you've noticed I haven't changed the plant, please remind me by posting in the forums. 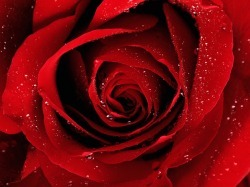 Roses are a sign of love in most cultures, especially red roses. Roses are usually red, pink, yellow and white, but there are some blue ones, though those are usually dyed (they really do that).